Organizations today are focused on improving efficiency throughout every area of the business. From an asset management perspective, they’re leveraging the Industrial Internet of Things and analytics to keep equipment running safely for as long as possible. With limited capital and operational budgets, this is accomplished with a comprehensive Enterprise Asset Performance Management (APM) solution. 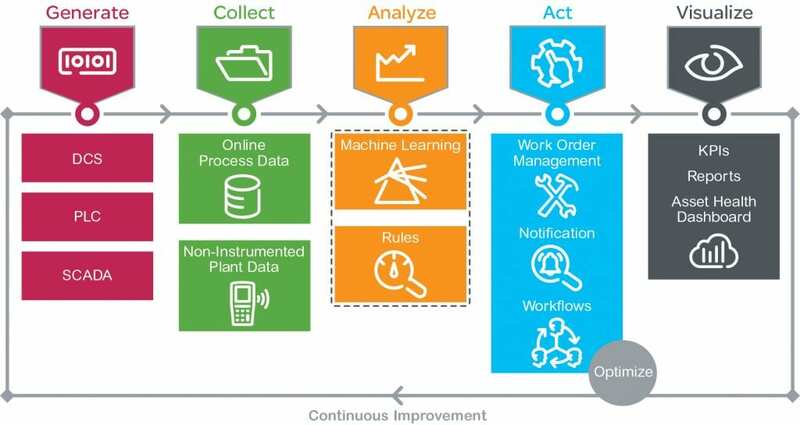 Enterprise APM enables organizations to exceed safety, reliability, and performance goals through data collection and analysis coupled with actions and optimization for proactive and predictive maintenance execution. As a result, plant personnel are empowered to act before costly equipment failures occur. Enterprise Asset Performance Management solutions integrate all the various elements of a comprehensive maintenance program, making valuable information accessible and delivering context for smarter decisions. It requires a broad portfolio to collect data on assets, analyze it, determine the next course of action and use that action to further refine and optimize processes. The end goal is to deliver the greatest economic return for all asset types. This is made possible by integrating various technologies and devices, and applying advanced analytics to determine where improvements should be made. Benefits span all functional areas from strategic, to operational, to financial and safety. Operational benefits can be achieved through the early identification of equipment problems to reduce or eliminate unplanned downtime. Engineers can spend less time sifting through raw data and spend more time improving the reliability and performance of the assets that drive the profitability of the company. There are financial and safety benefits to be achieved through increased asset utilization and reduced downtime, as well as the opportunity to identify equipment problems before a major failure causes significant or catastrophic damage. 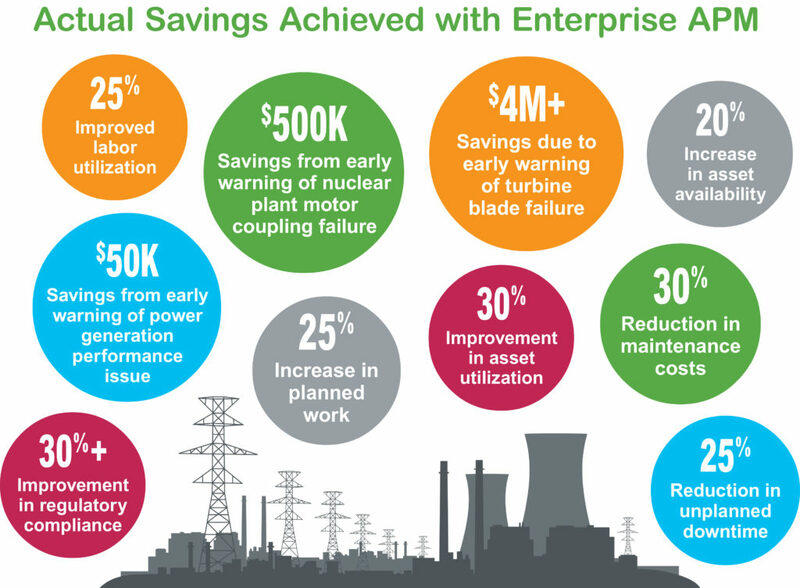 Schneider Electric offers the most comprehensive Enterprise APM solution that manages the collection of data from any number of sources, incorporates advanced analytics technology that combines machine learning with analytic rules and provides a complete enterprise asset management platform to manage asset lifecycle and maintenance processes. It also includes a variety of interactive visualization capabilities for presenting this information in intuitive ways on mobile devices and platforms. Using the Enterprise APM solution, organizations can monitor their assets to identify, diagnose and prioritize impending equipment problems – continuously and in real time. Learn more about the comprehensive Enterprise Asset Performance Management solution in this paper.